Above; Tobacco cards with miniature playing cards inset into top corners, printed by Litografía y Tipografía Fabbri Hermanos, for Roldan y Cia Tobacco, Lima, c.1895. The playing cards appear to be of the Cádiz style. Size: 3.5 x 5.5 cm. 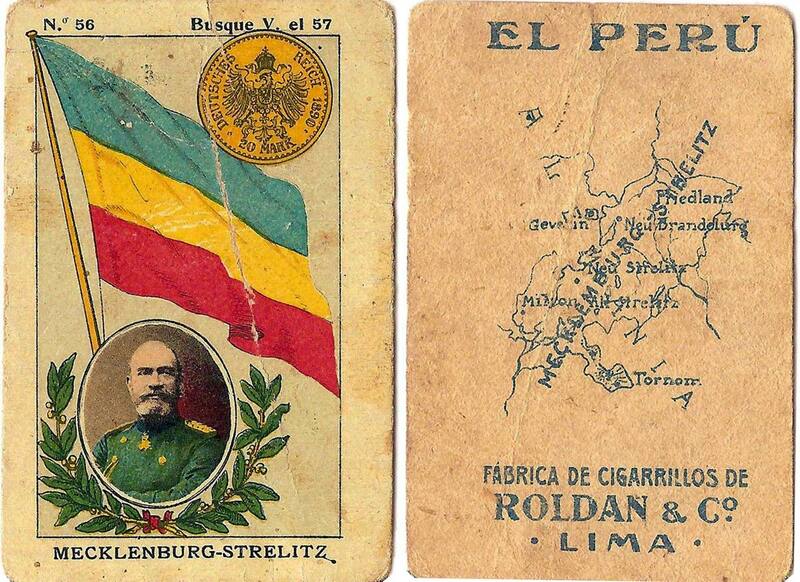 Above: collectible cigarette card published by Fábrica de Cigarillos Roldan & Co. inserted into packets of “El Perú” cigarettes. Image courtesy Anke Schröder.